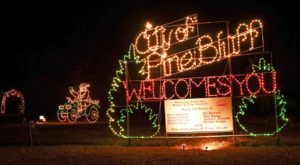 With the bragging rights of “largest lighting display in the Mid-South,” it’s easy to see what makes Blytheville the twinkliest town in Arkansas. 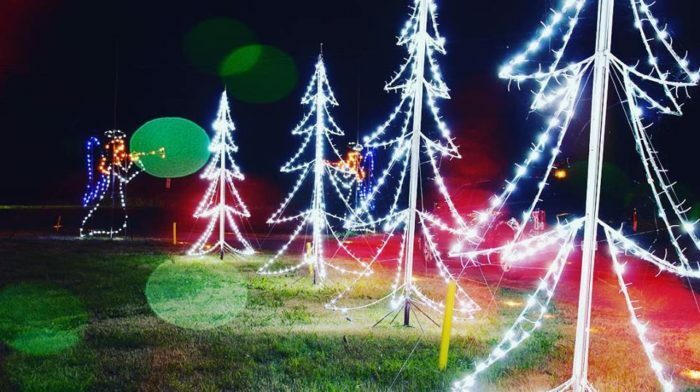 The whole town has plenty of Christmas cheer but there’s no better place to see the lights than at their signature event: Lights of the Delta. Let’s pack in the car and drive along this illuminating trail. The town of Blytheville is absolutely brimming with holiday spirit. It's easy to tell since this is the first thing you see when you walk into the Blytheville Welcome Center. 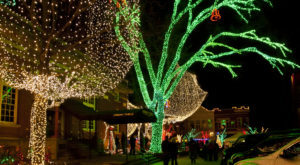 It'd be a "bright" idea to go visit the town's immense holiday light display. 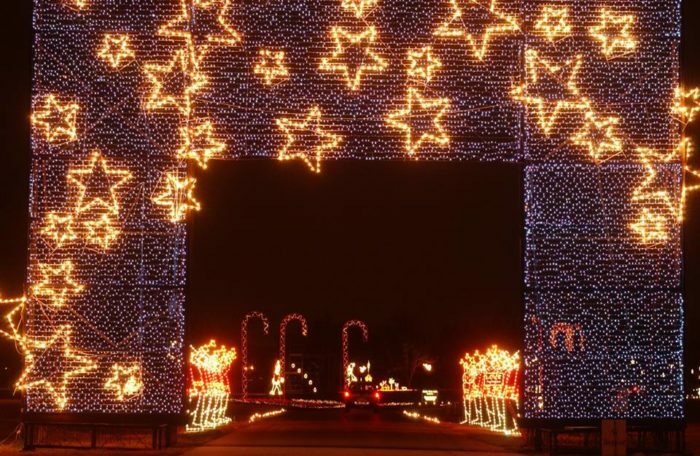 The Light of the Delta is the Mid-South's largest holiday lighting festival. The displays cover 40 acres of what was the Ecker Air Force Base. It'll be hard to miss the glow, but the event does takes place at 1405 Air Base Highway Blytheville, AR 72315. 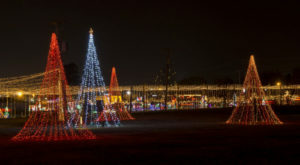 Lights of the Delta shines with over six million lights and nearly 50 displays. These are more than just plugged-in figures in the grass, most all of the scenes are major motion displays. 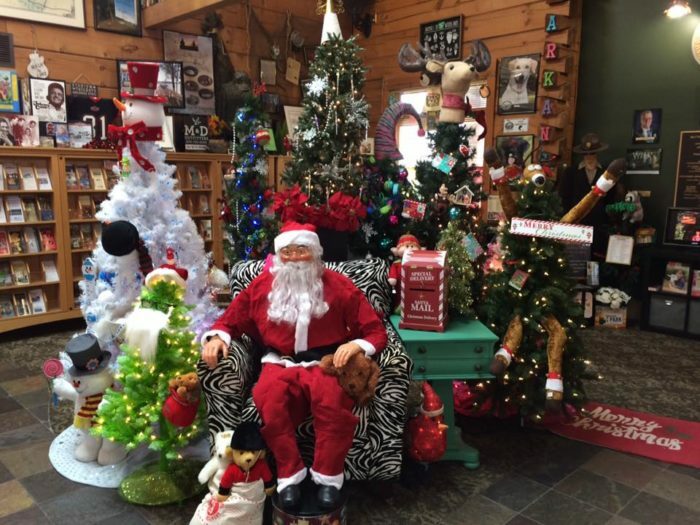 In midst of the trees, santas, and nutcrackers resides a heartwarming tradition. The Legacies in Lights is a collection of stars and angels dedicated to loved ones no longer with us or to honor our veterans. 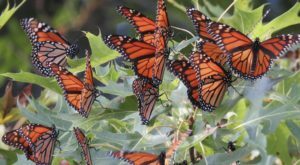 If you’d like to learn more information about this tradition, visit this link. Some familiar faces will also be at the light festival. Look for Jingle Bell Park to find Santa at his workshop. He'll be available for photos on Tuesday, Friday, and Saturday nights. Photos are free but donations are welcomed. 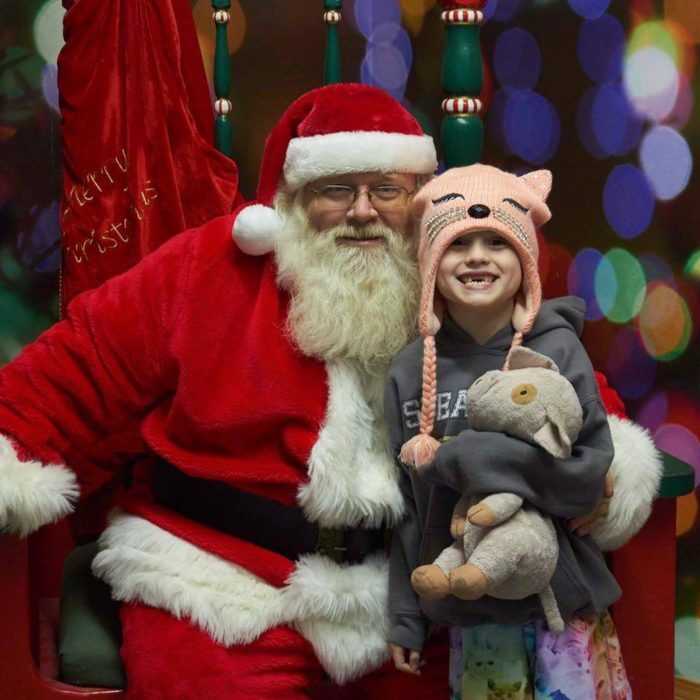 In addition to seeing Santa, there are other activities along the way. Jingle Bell Park also has a souvenir stand, concessions, and ornaments for the kids. 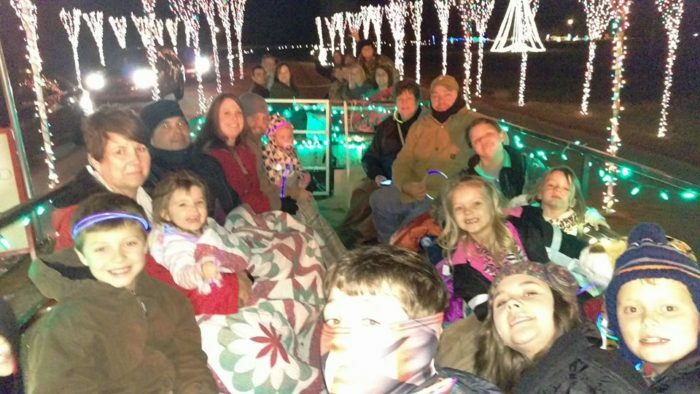 You can also book a hayride, which is perfect for large groups. 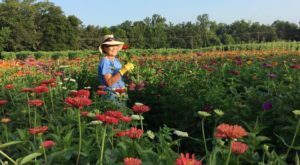 If you’d like to learn more information about booking a hayride, visit this site. 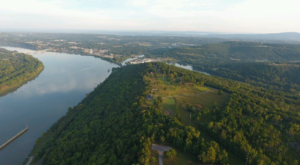 This magical mile and a half is the perfect showcase to Arkansas' twinkliest town. 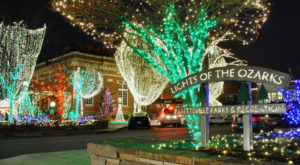 The Light of the Delta will be on until Dec. 27th, 2018. 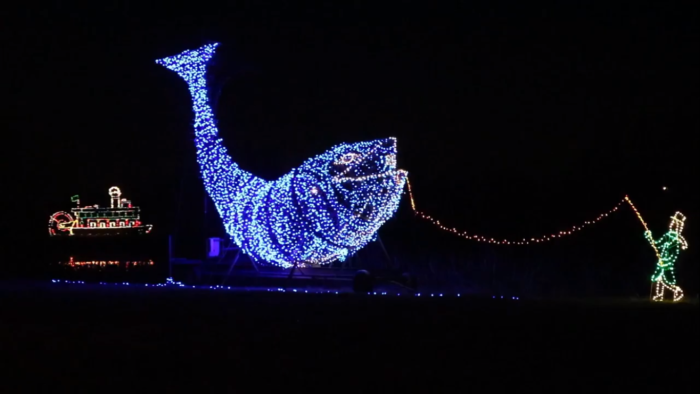 The drive-thru light show is open Sundays - Thursdays from 5:30-9:00 pm and 5:30-10 pm on Fridays and Saturdays. It's $10 per car every night except for Tuesdays (their half-price night). For more details, visit the Lights of the Delta's website right here. You can also follow the Lights of the Delta Facebook Page. Were you dazzled by Blytheville’s beautiful brightness? Share your experience with us in the comments below! 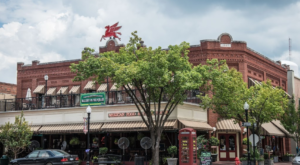 Some other places to visit this season are Arkansas’ Christmas towns that look like they’re from a Hallmark movie.